It is likely that the Belgae formed part of the tribal domains of Atrebates from at least 20 BC, and may have done so from the latter's probable founding as a kingdom by Commius. It also seems possible that the Belgae were not a tribe at all, and may not even have been Belgic before the Roman conquest. There is the possibility that they were the leftovers of previous Celtic settlers who had not migrated farther west or north when the Atrebates and their kin arrived. Given the very scant evidence, it is hard to draw any definite conclusion either way. If they were Belgic, they may have been formed of odds and ends of various Belgic tribes that had migrated from Gaul to escape Roman occupation. 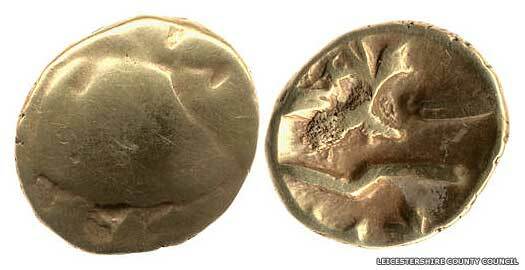 A large amount of middle second century BC coinage (Gallo-Belgic A) that has been attributed to the Ambiani tribe has been discovered in parts of southern Britain. While this may be due only to trading connections, it may also be due to Ambiani settlers in the territory. When it comes to determining the meaning of the name Belgae (pronounced bel-jay), Pokorny gives these roots in Gaulish from a proto-Indo-European base, with the latter's 'bhelg̑h-' and 'bhelg̑h-' descending into Gaulish as 'bolg-' and 'bulga'. 'Bhelg̑h-' means to swell up. But the crucial word from this root does not seem to come from Gaulish. Instead it seems to stem from the Anglo-Saxon verb, 'belgan', meaning to swell up, or be angry This supports the contention that the Belgae were a Celtic-Germanic mix. The Irish description of Cucullaine when his madness is on him comes to mind, swelling up with rage, transforming from a normal man to a monster... apparently borrowed from the Irish for use in the Incredible Hulk. A large number of Gallo-Belgic A coins are to be found in southern Britain at this time or soon afterwards. This suggests heavy trade with the Ambiani tribe in northern Gaul, but also the probability that Ambiani have settled in Hampshire, possible as the earliest representatives of the Belgae themselves. Gallo-Belgic C coins, less than previously, can be found which are tentatively identified with Diviciacus of the Suessiones. Finds are concentrated amongst the Cantii, but can be found as far west as the Sussex coast, on the borders with the Belgae lands. Commius of the Gaulish Atrebates arrives in Britain, bringing with him just his own retainers, survivors of a heavy defeat in Gaul. The size and strength of the Atrebates tribe he joins in Britain is unknown. They certainly occupy their own territory in this period, and govern the Belgae and Regninses, who may all be constituent parts of the same tribe, but how much significance they hold is unclear. They may not even be formed into a single tribal kingdom until Commius becomes their king, although it does seem likely that many Belgic refugees find their way here during this period. Still a subsidiary part of the kingdom of the Atrebates, the Belgae appear not to possess a single tribal cohesion. This probably makes them an easy conquest by the Romans under the command of Governor Aulus Plautius. Part of the territory of the Atrebates is reorganised into the Roman client kingdom of the Regninses (which possibly includes the Belgae). 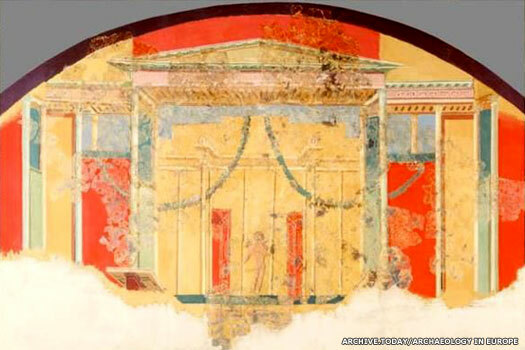 It is ruled by Tiberius Claudius Cogidubnus, who may be the son of the last native Atrebatean king, Verica. Roman client king of Atrebates vassals, the Regninses & Belgae. Vectis Insula (the Isle of Wight) may be a Belgae possession, although this cannot be confirmed. Now it is conquered by Roman troops under the command of Vespasian. Direct rule under the Romans follows the death of Tiberius Claudius Cogidubnus, client ruler of the Regninses, and perhaps the Belgae too. The tribal territory is later organised into the civitates (administrative districts within a Roman province) of the Atrebates, Regninses and, again, possibly the Belgae. 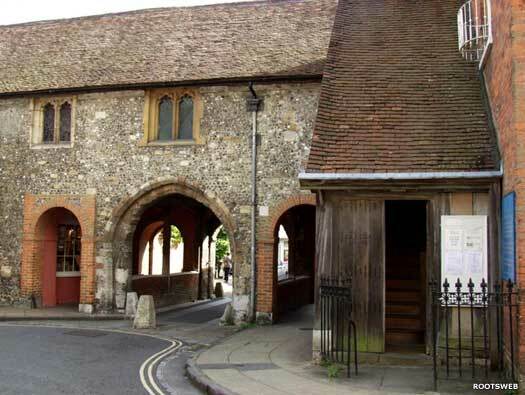 The latter are governed from Venta Belgarum (Winchester). It has been suggested (by Vivien Swan and Anthony King) that the Belgae may have strong anti-Roman sentiments (not surprising if they have been chased out of Gaul by Roman conquests), and that their lands may be resettled by Belgic peoples soon after the conquest of Britain. The immediate post-Conquest pottery of the Oare/Savernake area is made by Belgic potters who follow the Roman army as it moves westwards. It raises the possibility that the whole of the 'Belgae' population is moved in from somewhere further east, with the indigenous people being resettled. Ptolemy confirms the location of the Belgae, and ascribes to them the towns of Aquae Calidae ('The Hot Waters' otherwise known as Aquae Sulis, modern Bath in Somerset), Iscalis (location uncertain, but placed by Ptolemy at the mouth of the River Axe, near Bawdrip in Somerset), and Venta Belgarum. The last is the principal tribal centre but is given no special attribution. A bank and ditch is built around it during this century. Other settlements include Abona (Sea Mills, Avon) a port which serves Aquae Sulis and which is located on the Severn Estuary, and Sorviodunum (Old Sarum in Hampshire), an Iron Age hill fort which has been re-used by the Romans as a posting station. A stone wall is added to the defensive bank and ditch around Venta Belgarum. By this period the city contains many fine Roman buildings, including temples and a forum, and is the fifth largest city by area in Roman Britain. Two cemeteries exist, one outside the northern gate and one to the east. It is probably in this century that Aquae Sulis gains defensive walls, in common with many cities in Britain. The road junction to the north of the temple complex is left outside the walls, and the area within them is progressively developed, suggesting occupation is concentrated behind the defences. However, there is some development along the roadside to the north, along with a cemetery which continues to be used. The baths begin to decline in the late fourth century, but the springs continue to be used. By this period another settlement can be found at Clavsentum (Bitterne in Hampshire). It is a fortified port which serves Venta Belgarum. By the 340s, development work comes to a halt in Venta, part of a general decline in Roman cities at this time, and bastions are added to the town wall as the defences are beefed up. At the same time there is evidence of alien elements in the population which grave goods and burial rites suggest are of South German origin. These may be laeti, barbarians settled in the area of the city to aid in its defence. By the fifth century the Romano-British Belgae have regained some level of independent control in the form of the postulated territory of Caer Gwinntguic. The territory may only be an administrative one at first, perhaps developing later into an independent entity as central authority in Britain fades. The city of Aquae Sulis emerged as Caer Baddan, but it now falls under the administrative control of Caer Gloui, not Venta Belgarum. From its regional capital at the Roman town of Venta Belgarum (Winchester in Hampshire), the British territory of the Belgae reasserted some form of independence in the early fifth century (if not before). The territory shared a long northern border with Caer Celemion, and also bordered Rhegin to the south-east, Inis Vectis to the south, Dumnonia to the west, and Caer Baddan to the north-west. 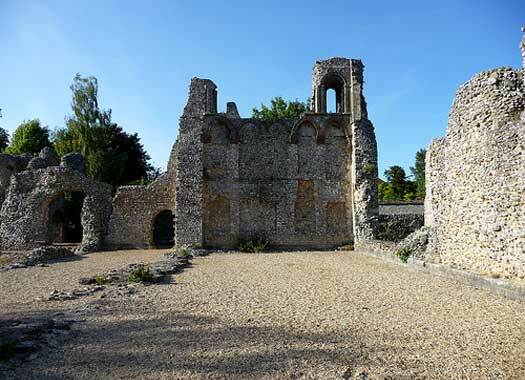 The region was tasked with defending the westernmost section of the Saxon Shore in the fifth century, and Saxon laeti were probably hired and settled on the south coast for this very reason, arriving in the first half of the fifth century (archaeology confirms this). Their role may have become important in the territory's later years, either as a key part of its defence or as its later enemy (either way, it seems that they may have played a role in forming the name used here, Caer Gwinntguic). In the mid-fifth century the political situation suddenly changed. The British central authority was locked in civil war, and the country was struck by plague and subjected to a barbarian sacking from coast to coast. Sacking swiftly turned to conquest, and parts of the south coast were settled by Jutes who called themselves the Meonware. Edward Dawson breaks down the origins of the Gwinntguic name as follows, pointing out that 'gwinnt' (or more usually 'gwent') is a typical late pronunciation of 'venta'. As for 'guic', there was a strong Celtic habit of transforming a 'w' into a 'gw' (or 'gu'). One very well known example of this is the Votadini tribe. That name underwent a fairly standard alteration from 'v' (or sometimes 'w') to 'gu' and then to 'g'. In the case of '-guic', this starts with 'gu'. Take off the older 'g' sound and it becomes 'wic', which was well known in Anglo-Saxon English as a trading centre (such as Ipswich, Norwich, Lundenwic, and Hamptonwic - now Southampton). Saxons were often settled just outside the walls of the city they were being hired to protect. They would have obtained their food and goods from the city's traders and, in the case of Venta Belgarum, and perhaps only speaking a little Latin, could have pronounced 'Gwent' or 'Gwinnt' as 'Wentawic'. Extending the hypothesis a little further, the locals could have picked up on the Saxon variation of the city's name and adopted it, perhaps in the later days when virtually all communication from outside had been cut off and the Romano-Britons and Saxons were now brothers-in-arms on an equal footing. The recycled name could have been rendered by the Romano-British as 'wenta wic', or 'gwent gwic'. The Historia Brittonum labels the city Caer Guin Truis. In the first half of the century there is a second settlement of barbarians in or around the civitas. Again they are probably laeti who are added to the city's defensive forces now that the presence of Roman troops is a thing of the past (although ex-Roman army troops almost certainly remain in places, dedicated to defending their homes and families rather than owing any loyalty to the now-distant empire). This time the new arrivals are from northern Germany, almost certainly Saxons. Their pottery in the city antedates the arrival of the general wave of Saxon invaders by over a century. St Germanus' second visit to Britain sees off the last of the Pelagians and confirms Elafius' subjects in the Catholic faith of the Roman Church. Elafius himself is clearly a Pelagian supporter until the visit, and by inference may be a supporter of Vortigern's pro-Celtic faction in Britain. Germanus goes on to restore Cadell Ddyrnllwg to the throne of the Pagenses in the West Midlands. Jutes from the Cantware group of invaders, or related to them, settle to the west of modern Southampton, while the Meonware (more Jutes) settle to the immediate east of Southampton Water, possibly threatening the territory's southern border. They absorb, or are absorbed by, elements of the Saxon laeti who have been there since the beginning of the century and perhaps because of this integration with settled Saxons and indigenous Britons, they establish peaceful relations with Venta Belgarum. Further settlements are established on Inis Vectis, which may have been a possession of the Belgae before the Roman invasion and may still be a possession of their descendants. Newly arrived Saxons under Ælle land at Selsey on the south coast (modern West Sussex) and beat off the Britons of Rhegin who oppose their landing, driving them to take refuge in the great forest called Andredesleag (The Weald). Suddenly, the southern Saxon Shore has been breached in a far more major way than the arrival of the Meonware had threatened and Venta Belgarum is mainly cut off from the southern coast. By this time the economic basis for the city's existence has disappeared. Its population has dwindled and the remaining inhabitants are developing a siege mentality in the face of increasing Saxon encroachment from the east. This is the probable period in which the traditional twelve victorious battles of Arthur are fought. In reality, although many of the battles seem to reflect actual events, it is likely that they are spaced out over a greater length of time, and are undertaken by multiple British leaders (most especially Ambrosius Aurelianus). One of those battles takes place at the fort of Guinnion (Venta Belgarum). If invading Saxons have managed to penetrate this far inland then it may be a shocking occurrence. Alternatively it could instead be a revolt by Germanic laeti who are already settled in the region... or possibly an early effort by Cerdic. Possible Belgae magistrate before conquering West Seaxe? The south gate of Venta is blocked in two stages, possibly in response to the settlement of the Meonware or more probably due to the founding of Cerdic's kingdom which eventually becomes that of the West Seaxe. The territory's defences force the West Seaxe to advance instead towards the less well-defended west country, but the settlement at Clavsentum (Bitterne), close to the Solent, has been lost. In fact, given the reasonable probability that Cerdic himself is of noble British birth and may hold a position of authority in the country, he could well be a magistrate of the Belgae before his rebellion in 495. By this time the city has become isolated from Dumnonia in the west, and Rhegin to the south-east has already fallen, so Venta's world is narrowing. The Romano-British population is much reduced from a century before, with many probably having migrated west while they still could. The core population that remains could well be balanced equally between Romano-British warriors and their families and the Saxon laeti and their families (given that at least some of the latter have been there for up to six generations). It is probably in this period that the territory's name of Gwinntguic replaces the city's name of Venta, as explained above. Natan / Natanlaod / Nudd? Killed by the West Seaxe. Cerdic's West Seaxe defeat Natanlaod's Britons in the area of Southampton Water. Could Natanleod be a rival British chieftain or Roman-style official (perhaps of Caer Gwinntguic) who is vying for power with Cerdic or attempting to defend Britain's shores? Having established a beachhead and killed the (possibly) legitimate governor or ruler, Cerdic may be the only hope in the region for strong governance, with the result that Britons, Saxons and Jutes join him. The victory probably completes Gwinntguic's isolation from the very south coast that it had been expected to protect at the start of the century. Caer Gwinntguic falls to the West Seaxe, making its northern neighbour, Caer Celemion, very vulnerable on its less well-defended southern border. The city is not fully abandoned. The Saxons who have lived there since the early fifth century and even before that probably remain, perhaps even with the surviving Romano-Britons, who are virtually kin by now, and certainly closer in relation than the new conquerors. In time the city becomes Wintanceastre (Winchester), capital of the West Seaxe kingdom from 590 and the seat of the bishop of Wessex from 676.